TAPI gas pipeline has a diameter of 56in and will transport 33bcm of natural gas a year. Credit: Ministry of Foreign Affairs Afghanistan. The 1,814km-long TAPI pipeline will run between four countries. Credit: Ministry of Foreign Affairs Afghanistan. The ground-breaking ceremony for the pipeline project was held in December 2015. Credit: Ministry of Foreign Affairs Afghanistan. The Turkmenistan-Afghanistan-Pakistan-India (TAPI) pipeline is a 1,814km trans-country natural gas pipeline running between four countries. Also known as the Peace Pipeline, the TAPI pipeline will begin in Turkmenistan and traverse Afghanistan to reach Pakistan and India. 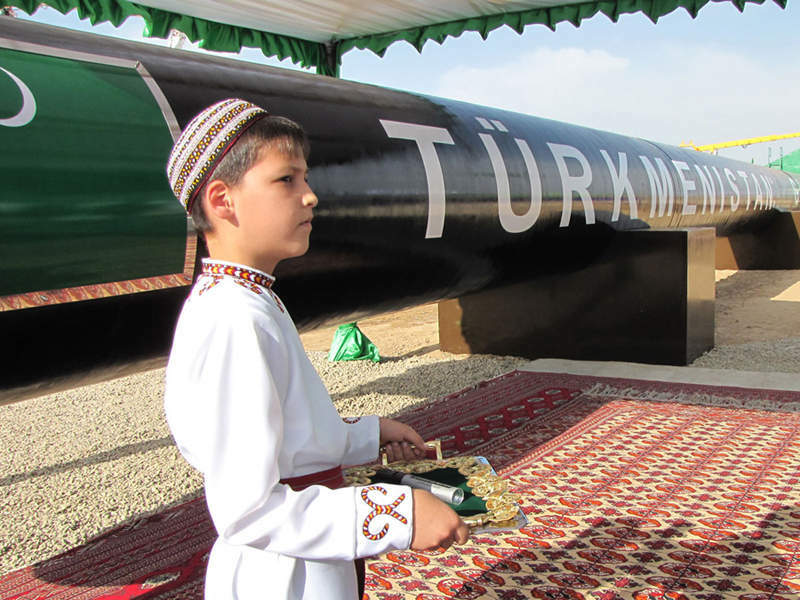 A stone-laying ceremony was held to commemorate the start of construction of the Turkmenistan-Afghanistan section of the pipeline in December 2015 in Mary, Turkmenistan, near the Galkynysh gas field. The ceremony marking the beginning of construction of the Afghanistan-Pakistan section of the pipeline was later held in February 2018. 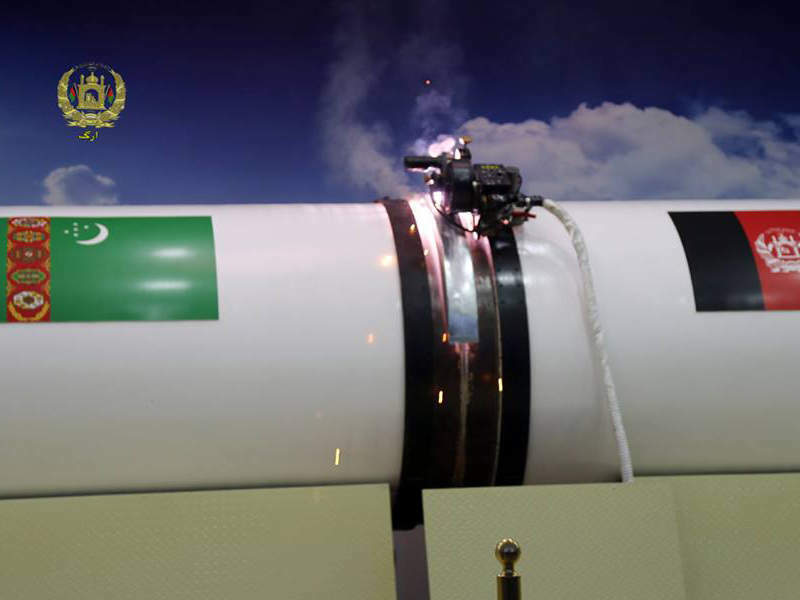 A special-purpose consortium company known as the TAPI Pipeline Company Limited (TPCL) was incorporated in November 2014 by Turkmengaz (Turkmenistan), Afghan Gas Enterprise (Afghanistan), Interstate Gas Service (Pakistan) and GAIL (India) to execute the $7.5bn project. Turkmengaz is the majority shareholder in TPCL. The pipeline has been designed to serve for a 30-year period and is expected to commence operations in 2020. It is slated to transport 33 billion cubic meters (bcm) of natural gas a year. 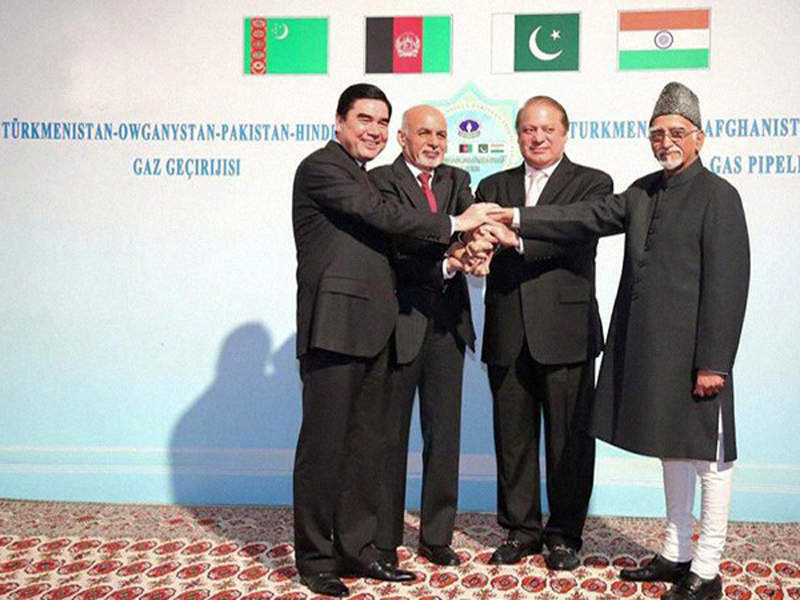 The plan for the TAPI project was originally conceived in the 1990s to generate revenue from Turkmenistan’s gas reserves by exporting natural gas via Afghanistan to Pakistan and India. An inter-governmental agreement (IGA) was signed in 2010 by the heads of four member nations. A Gas Pipeline Framework Agreement (GPFA) was also signed by the petroleum ministries of the four countries in December 2010. The bilateral gas sale purchase agreement was signed in May 2012. Turkmengaz, Afghan Gas Enterprise, Interstate Gas Service, and GAIL were nominated as shareholders by their respective countries to promote and invest in the pipeline project in 2013. The state-owned companies of Pakistan and India are each expected to purchase 42% of the total volume of produced gas, equating to approximately 14bcm. Afghanistan is expected to purchase 16% of the gas, which approximates to 5.11bcm. Afghanistan will also receive $400m a year as transit fee for the pipeline. The TAPI pipeline will transport gas produced from the Galkynysh gas field in Turkmenistan to Afghanistan, Pakistan and India. It will have a diameter of 56in and a working pressure of approximately 10,000 kilopascals (kPa). The pipeline will initially transport 27bcm of natural gas a year, which will be increased to 33bcm after one year of operation. Compressor stations are also expected to be constructed at different points of the pipeline. The Afghanistan section of the pipeline will be built along the highway. It will cross the cities of Herat and Kandahar in Afghanistan towards Pakistan. The pipeline will cross the cities of Quetta and Multan in Pakistan towards its final destination, the Indian town of Fazilka, which is located on the Pakistan-India border in the state of Punjab. The project is being funded by the Asian Development Bank, which is also acting as transaction adviser for the development. UK-based company Penspen was contracted to conduct the technical feasibility studies for the TAPI pipeline. Penspen subcontracted Royal HaskoningDHV to carry out various studies related to the environmental and social safeguard components of the initiative. ILF Consulting Engineers was awarded a contract to conduct the front-end engineering and design (FEED) studies for the pipeline. The scope of the contract also included the provision of technical supervision services for the Afghanistan-Pakistan section of the pipeline network. The pipeline is expected to facilitate a unique level of trade and co-operation across the region, while also supporting peace and security between the four nations. More than 1.5 billion people in Afghanistan, Pakistan and India are expected to benefit from the long-term energy security provided by the project. In addition, the project is expected to boost the revenues of Turkmenistan via the sale of gas. Afghanistan and Pakistan will also receive benefits through transit fees. 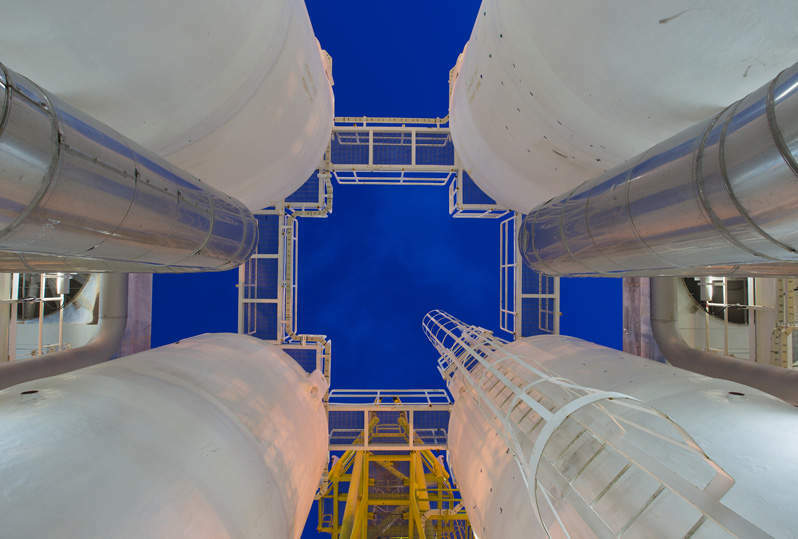 Spectrex has been a provider of optical flame and combustible gas detection solutions for the onshore, offshore, oil and gas, chemical and petrochemical industries for more than 30 years.